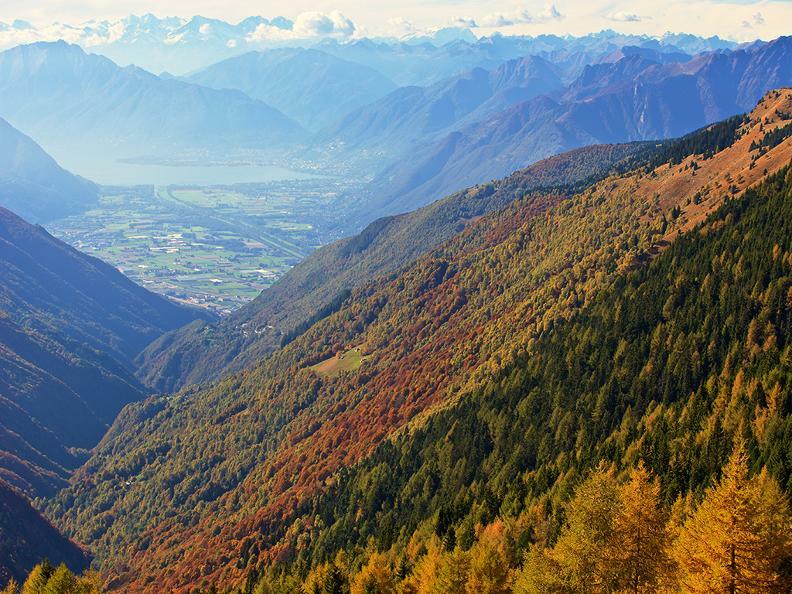 A great uphill itinerary through the characteristic Morobbia Valley, following the route of Italian-speaking Switzerland’s historical “Giubiasco-Carena” bicycle race, which has witnessed numerous national competitions and Swiss championships. 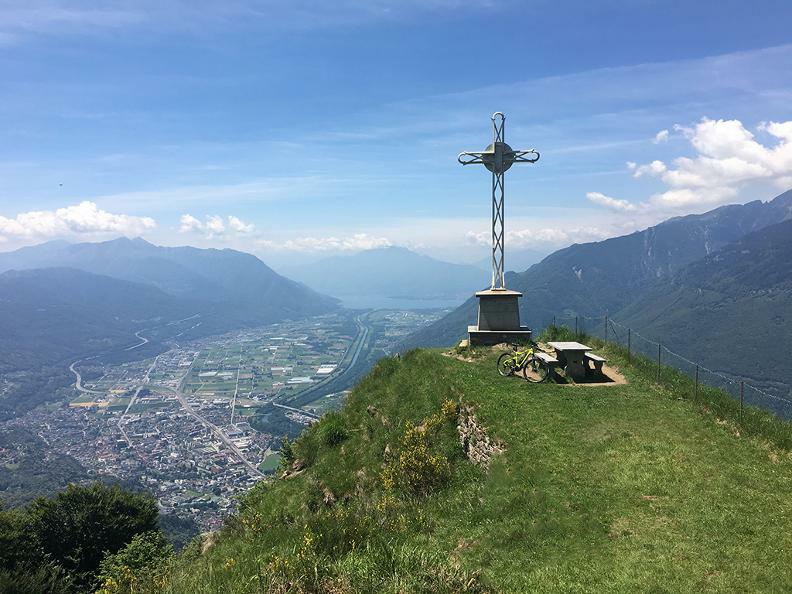 This itinerary starts in Giubiasco, the southern part of the built-up area of Bellinzona, overlooking the plain of Magadino. Departing from Giubiasco station, you come to Piazza Grande, one of the largest squares in Europe and the city's pride and joy with its magnificent green lawns dotted with a dozen sculptures by contemporary artists. From here you head towards the Morobbia Valley, where you enjoy an unparalleled view of the surrounding mountains and the plain of Magadino. The asphalt road makes its way up the vine-clad slope leading to Lôro and Pianezzo, before continuing towards Vellano, the first of the five districts in the former municipality of Sant’Antonio, and now part of the new City of Bellinzona. When in Vellano it is well worth visiting the “Via dell’Acqua”, an educational path that teaches people about energy production and tells the story of water exploitation in the Morobbia Valley. After Pianezzo and before coming to Vellano, bear right and avoid the two turnings for Paudo. Further on you will come to Melera and then to Carena, at 958 m.a.s.l., the final stop on the route. After Carena the dirt track leads to the archaeological area of the ancient furnace and to the power hammer, which began operation in the late 18th century and is situated on the “Via del Ferro”, a transnational itinerary that offers the chance to explore the routes used by carriers who transported the iron mined and processed in Carena to Ceresio and Lario. 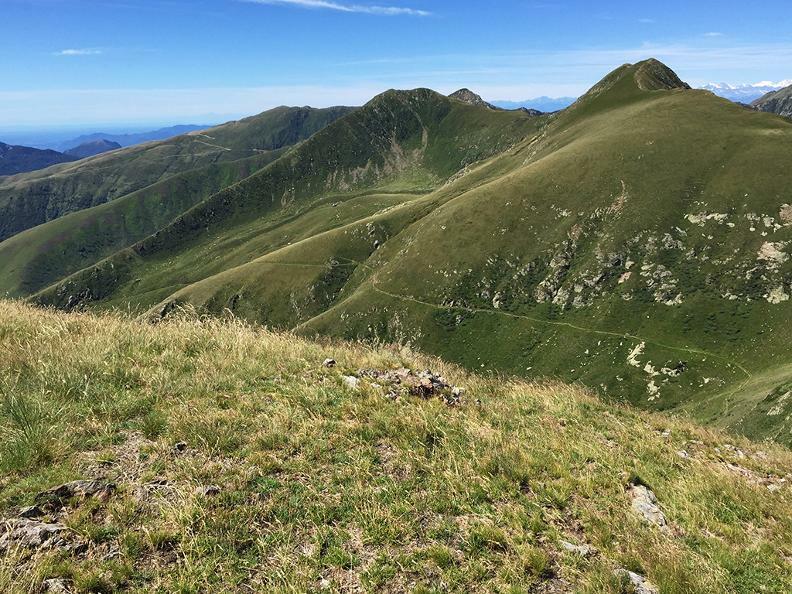 Another interesting route (ForTI project) also passes through Carena, encompassing the military buildings and fortifications dating to the First World War and leading to San Jorio and the Gesero mountain hut.